I’ve referred to this sauce in several prior posts. I got it from an episode of Lidia Bastianich’s PBS series “Lidia’s Italy” several years ago and it peaked my curiosity. I’ve adapted it to my own taste and proportions and have been making it ever since. I usually make a batch of it at the end of summer and freeze it in ziploc bags to use throughout the year. The long, slow cooking of the eggplant and tomatoes results in a very complex flavor and texture–not instantly identifiable as eggplant. 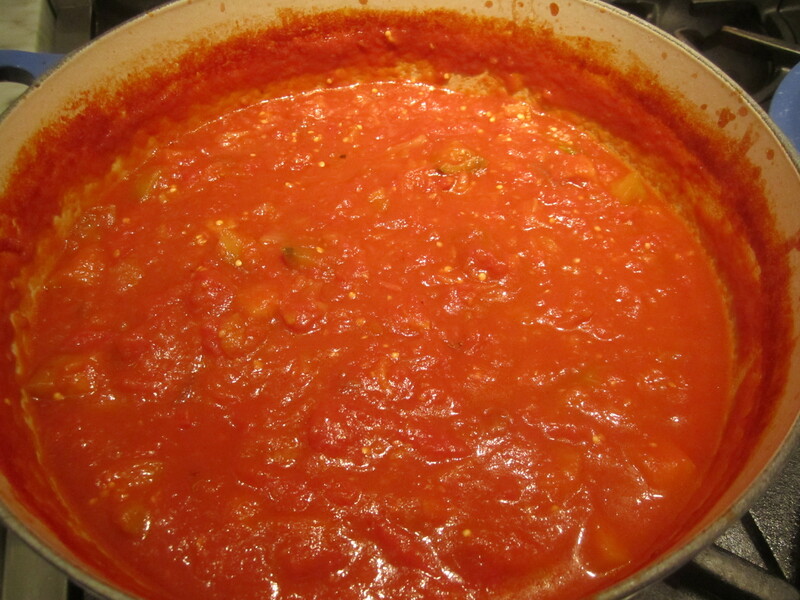 It’s an excellent sauce for pasta–I especially like it over whole wheat pasta. 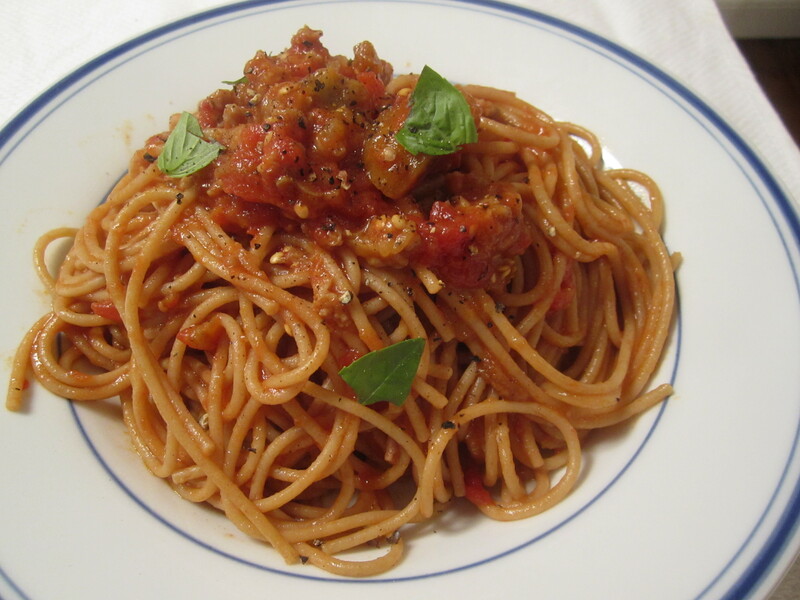 The earthiness of the whole wheat pasta is well-suited to the deep rich flavor of the melted eggplant. 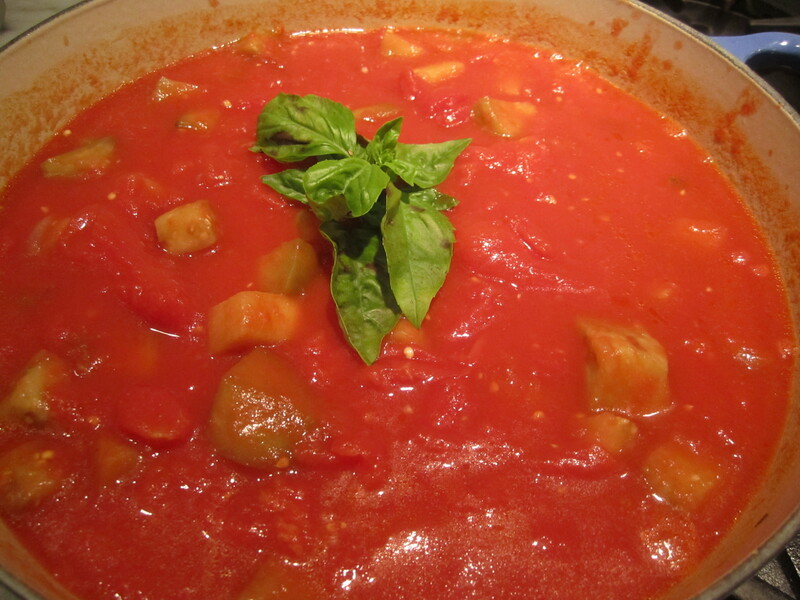 The eggplants in tonight’s sauce are from my neighbor Beppi’s garden, as is the basil. 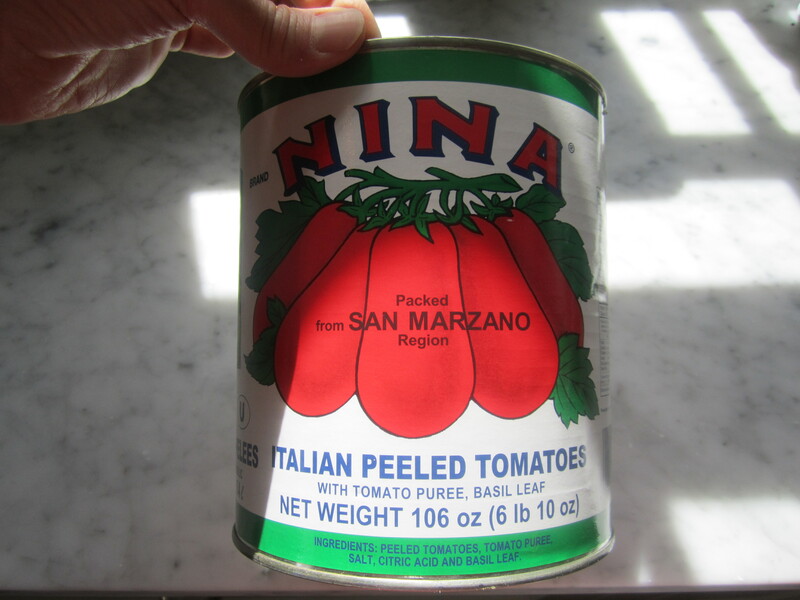 The tomatoes are imported whole peeled tomatoes, which I buy in the 106-oz. industrial-size can (Costco) just for making a large batch of this sauce. 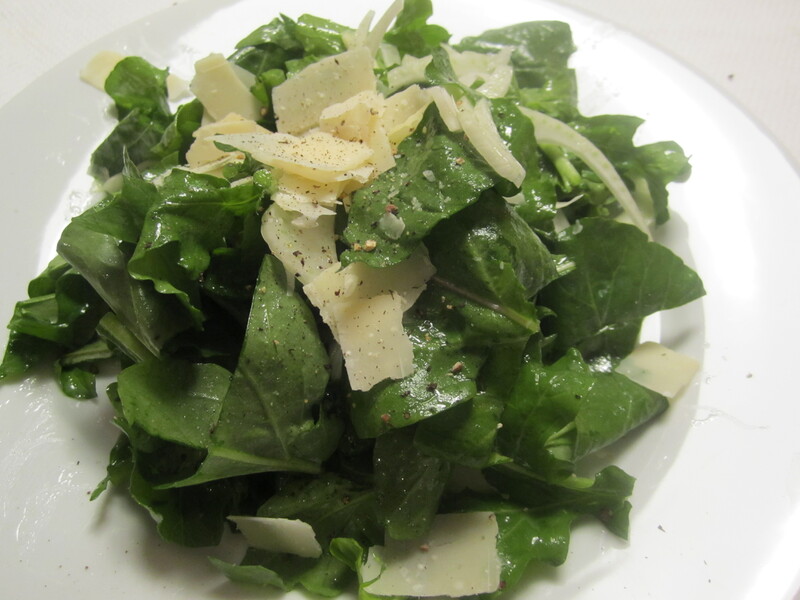 As our first course tonight, I’ve made a salad of arugula, shaved fennel and parmigiano dressed with lemon and olive oil. 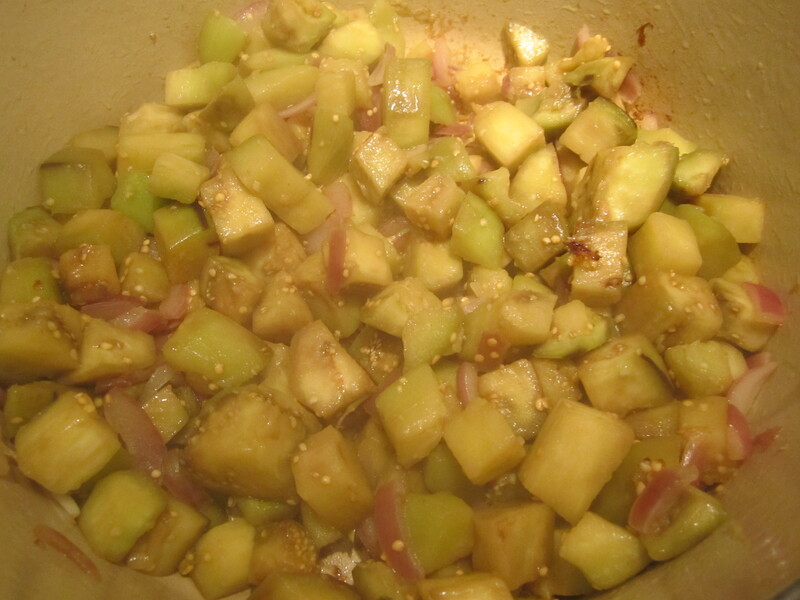 The sauce freezes flawlessly, so don’t hesitate to make a batch of it before local eggplants are a distant memory! 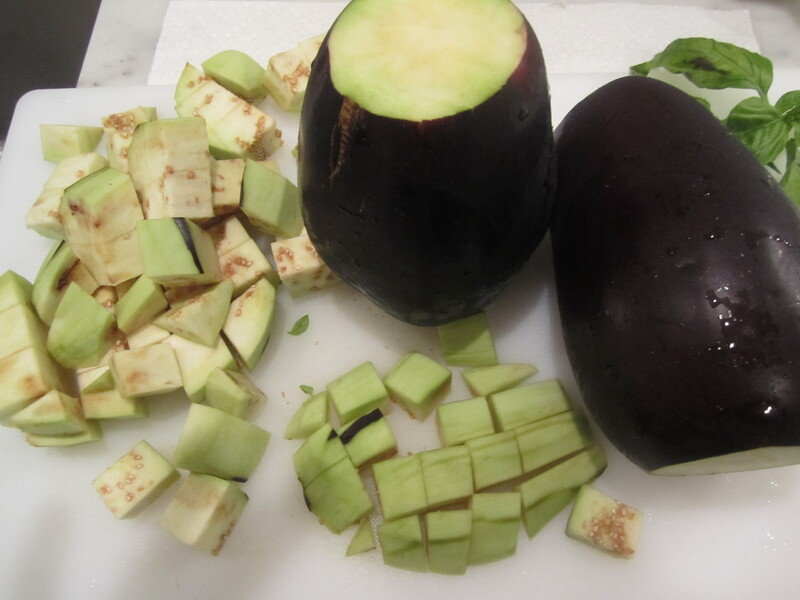 Peel eggplants and dice into 1″ cubes. 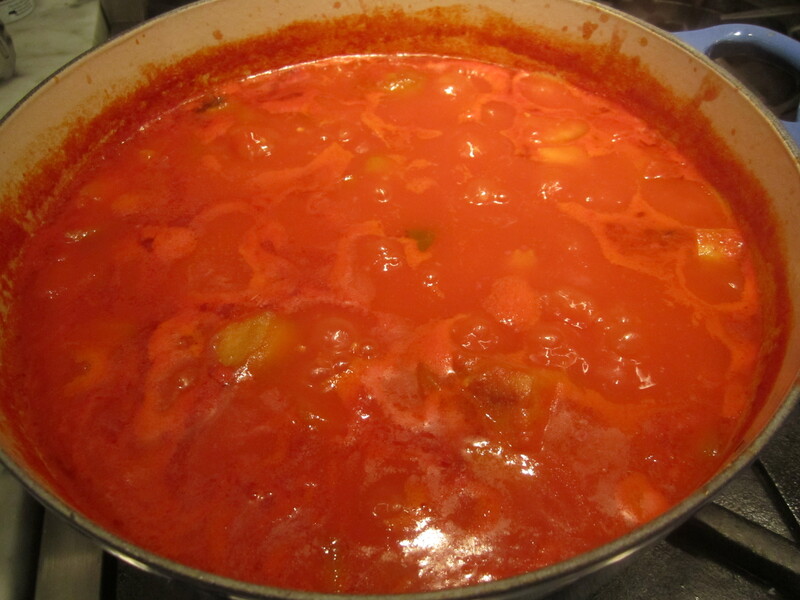 In a heavy-bottomed dutch oven (this is important–otherwise, the sauce will stick and scorch) place onions, oil and eggplant cubes. Sprinkle with 1 teaspoon of salt. 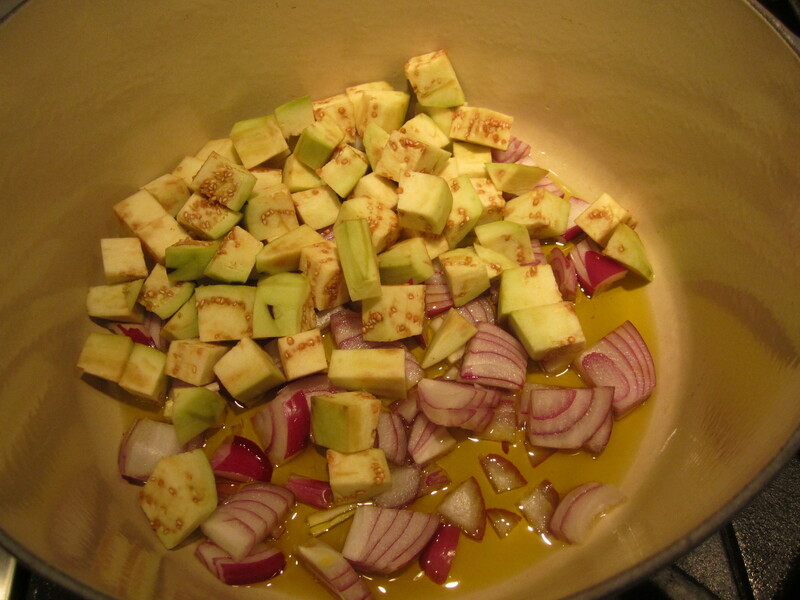 Saute for about 10 minutes, stirring often to prevent onion from browning too much. Add tomatoes (rinse can with water and add the water as well) and 2 basil sprigs. Bring to a boil, then reduce heat and partially cover (leaving lid askew). Simmer on low heat for 2 hours, stirring often to prevent sticking. The eggplant should be meltingly tender, and when you stir the sauce vigorously, the eggplant will all but dissolve and the sauce will have evolved into a nice chunky, velvety puree. Taste and add salt–you will need at least 2 more teaspoons of salt–maybe more. 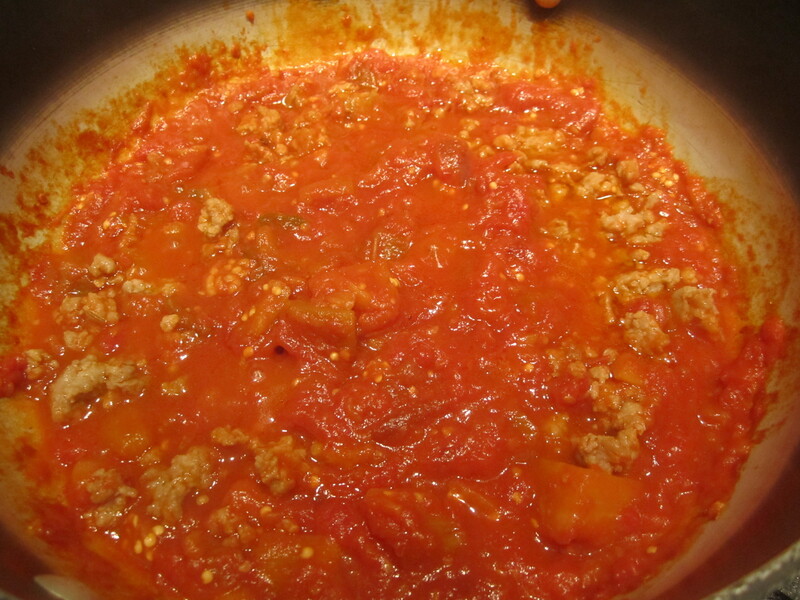 Tonight, after making the large batch of sauce and setting it aside to cool, I’ve decided to take a portion of it and add some fully cooked, chopped sweet Italian sausage (left over in my freezer from my pasta with cauliflower and sausage). The sausage is a beautiful complement to the eggplant. 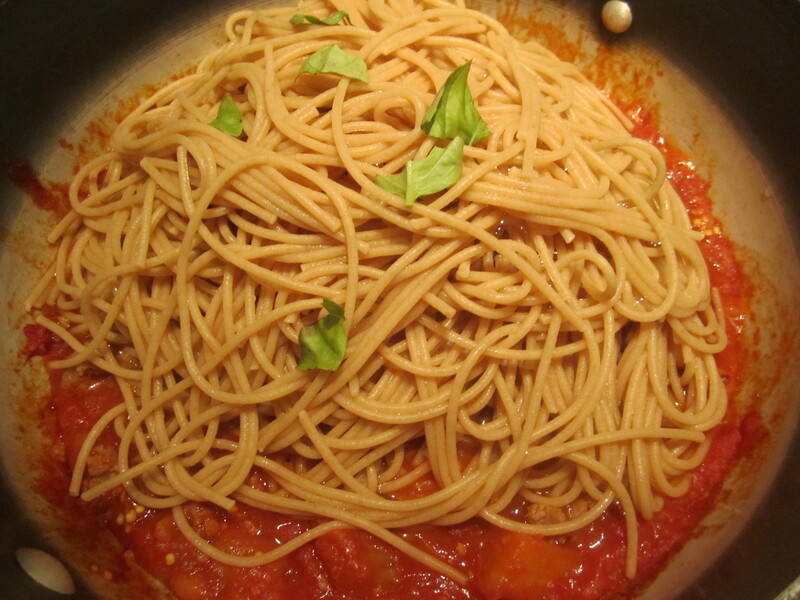 The whole wheat spaghetti (a half-pound for 2 portions) get tossed into the sauce and all is topped with fresh basil leaves. I serve this dish with plenty of pecorino romano and black pepper on top.